The fight coming to California this fall over net metering reared its head in exchanges between a state politician, a utility spokesperson, and a state regulator during a panel discussion at Intersolar North America 2013 in San Francisco. “The IOUs are not fans of solar,” said California State Assembly Member Nancy Skinner. 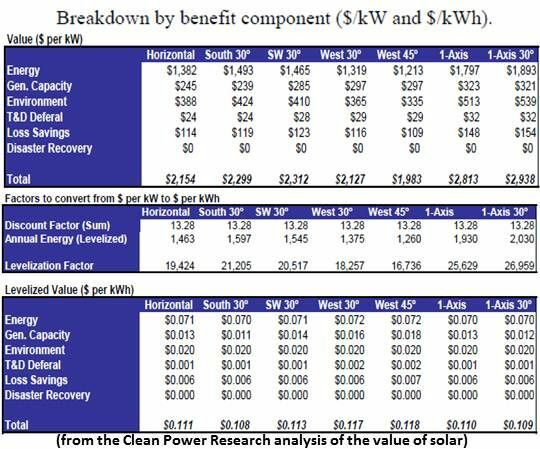 The IOUs and other opponents of solar say it is too variable, too expensive and its net metering subsidy drives rates up. Because these things make the political fate of a bill to modify net metering uncertain, Skinner said, she prefers to back a broader bill covering the CPUC’s power to revise the electricity rate structure. Using a strategy employed by utility spokespeople across the country when talking about the net metering controversy, Pacific Gas and Electric Company (PG&E) Service Analysis Director David Rubin responded by listing his company’s extensive investments in solar. PG&E has done more than most utilities, a solar industry veteran observed, but its representatives always talk about how much solar the utility has built without mentioning policies like renewables mandates and net metering -- which the utility fought -- that compelled PG&E to invest in solar. Further, PG&E reps fail to mention that the utility opposes net metering, the solar industry veteran added. The utility says it isn’t fair to other ratepayers. The California Public Utilities Commission (CPUC) is awaiting a report it ordered on distributed solar’s impacts on the transmission and distribution system expected in October 2013, recently appointed Commissioner Carla Peterman cautiously observed. 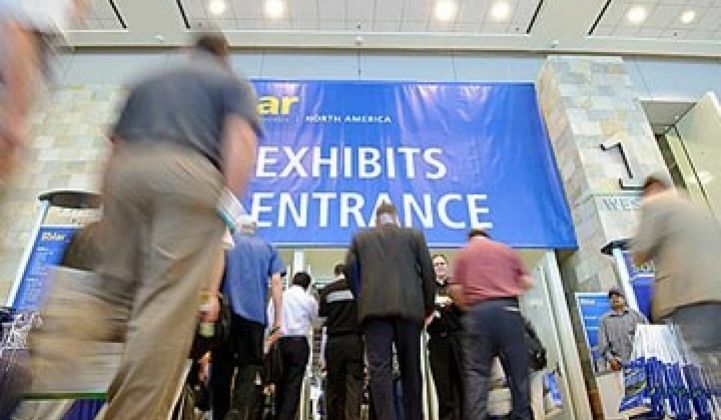 Several knowledgeable solar industry observers said at Intersolar that they expect the CPUC-ordered report to be the decisive study on net metering. The problem with the studies on net metering, Skinner said, is they don’t have a standard way to evaluate externalities. 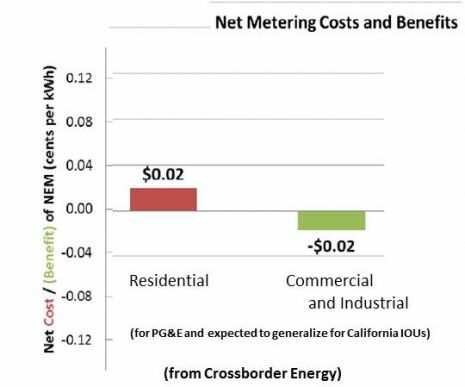 The study coming from the CPUC, Peterman cautioned, is on the costs and benefits to the ratepayer, not to society. She expects much discussion to be generated around the CPUC report. A Sierra Club representative asked about PG&E’s reaction to proposals from the California Governor’s office of a renewables mandate of more than 50 percent. “We need to understand more about how to integrate renewables into the transmission and distribution system,” Rubin replied. Skinner, who championed California’s current 33 percent by 2020 mandate, said she did not want to have a debate about a higher mandate. Opponents of distributed generation would, she said, turn it into a debate about the mandate including large hydro, which was intentionally excluded from the 33 percent standard to make room for more wind, solar, and geothermal. But she expects and welcomes a lot of discussion about net metering after the October release of the CPUC-commissioned report, Skinner added.